When I’m on stage, I’m trying to do one thing: bring people joy. He won a Grammy Lifetime Achieve-ment Award in 1992, and like the performer he was, James Brown sold tickets to soldout shows throughout his career. He was known as Mr. Dynamite, Mr. Please Please Please and The Godfather of Soul. When James Brown and fellow choir singer BobbyByrd saw a rock and roll show in the 1950’s featuring Hank Ballard and the Midnighters, they formed the Flames. With Brown on the piano and the drums, and Byrd on keyboard and vocals, they stuck together for the next three decades. ‘Please, Please Please’, their first single, was a big hit regionally, and eventually sold a million copies. More singles in the same gospel influenced, yet distinctly rougher R&B style, made Brown a regional star, and then Try Me became a national hit in 1958. The group now added Famous to their Flames name, and Brown created the James Brown Revue, a carefully choreographed show with Brown pumping his hips and doing the splits, while the troupe performed an intricate dance behind him. Sweating off seven pounds a night, and breaking box office records in every major black venue in America, Brown toured relentlessly. He performed five or six nights a week throughout the 1950s and ‘60s, a schedule that earned him the title “The Hardest-Working M a n i n S h o w Business”. Brown was a flashy showman, incredible dancer, and soulful singer, and his concerts were hypnotizing displays of exuberance and passion that left audiences in raptures. A new bio-pic on the soul music legend has just been released to the public. The movie, Get On Up, which has been 20 years in the making, was co-produced by Rolling Stones front man Mick Jagger. He led the cast and crew down the red carpet when the movie premiered at the Apollo Theater in New York in late July. 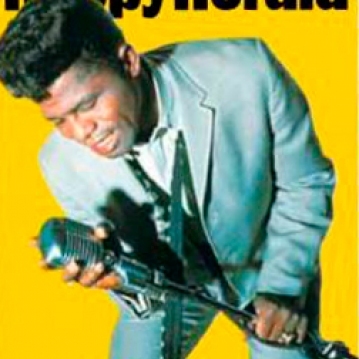 In a recent movie review in the New York Times by Nelson George, some of the back story of the film depicting James Brown’s life was explained. Struggles over the estate made Mr. Grazer and company step away. "Then about a year after his death, Mick Jagger called," Mr. Grazer said. "He’d cleared all the key rights and read the script. He wanted to partner up." "James was an early influence on me in many ways," Mr. Jagger said. "He showed me how to interact with an audience and that you always have to give 100 percent of your energy every show." Mick Jagger was present at Harlem’s Apollo Theater in New York City for the premier of the film. “It was fun. I enjoyed it, I loved being on set, and I’m so pleased that the movie came out as well as it is,” added Jagger, an old friend of Brown’s. 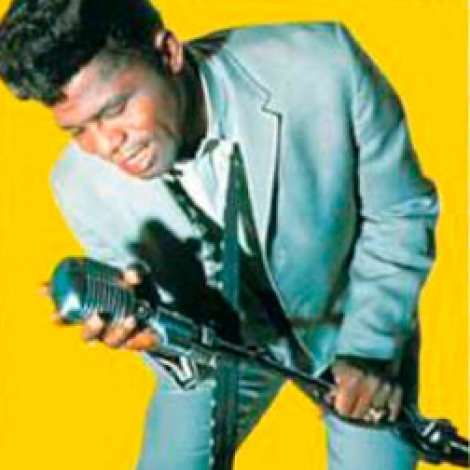 James Brown is clearly one of the most influential musical pioneers of the last half-century. The Godfather of Soul, the inventor of funk, the grandfather of Hip-Hop - perfectly aware of his role in American cultural history, Brown wrote in his memoir, “Others may have followed in my wake, but I was the one who turned racist minstrelsy into Black Soul - and by doing so, became a cultural force.” And although he wrote widely and was widely written about, Brown always maintained that there was only one way to truly understand him: “As I always said, if people wanted to know who James Brown is, all they have to do is listen to my music.” James Brown died on Christmas morning, 2006, after a brief bout with pneumonia. Remarkably, at the time of his unforeseen death, his touring business was more profitable than at any point in his career.